Now it is in progress produced successful Engineers of 2 batches. Provide committed leadership and continuous professional enrichment of staff with in a participating management process. Encourage all our staff, to extend possible within our resources, to undergo prioritized need- based development programs, including industrial training and the acquisition of higher qualification. Provide professional developments opportunities for all the members of staff. Offering quality Engineering Degree program including Total High , Quality Education Management skill, Entrepreneurial skill, studies which are concern for the community and the neighbour hood. Demonstrating accessibility, equity, innovation, high ethical and moral standards. Developing the total personality and there by improve their critical thinking skills, problem solving and Decision making. Using a highly flexible friendly and responsive delivery system we make each student highly Competitive with great potentiality. 1. Able to create their own job and not to be a job seeker. 2. Able to undertake any construction project as their own. 3. Aware of procedure of getting the financial support and technical support. 4. Capable of shooting the problems practically in any construction project confidently. 5. Clever in implementing their education both in field and on their personal lives. 6. Productive and worthy engineers for the nation. 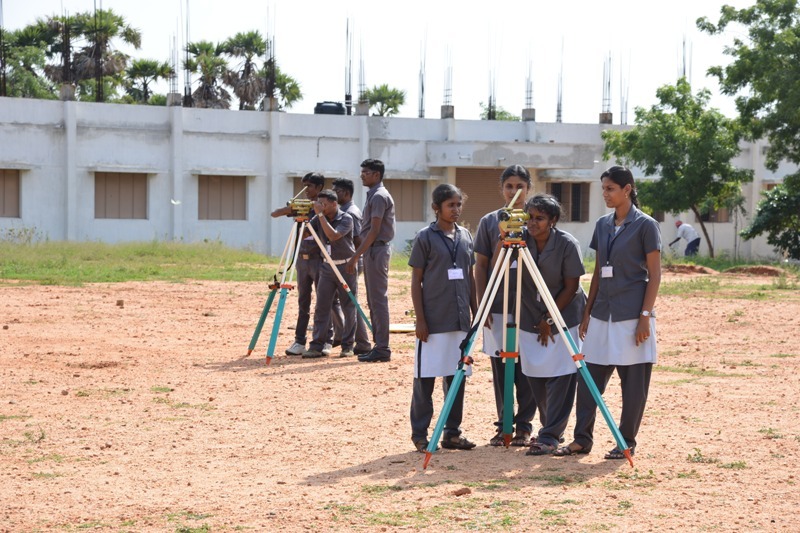 The Civil Engineering department of our college following the subject content specified by the Anna university ,Chennai ,having the pleasure of teaching the students objectively to know about the latest technology in the construction field and well aware of technical know - how. 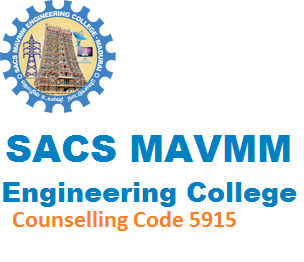 • Comprehend the subjects thoroughly in civil engineering course. • Differentiate theoretical and experimental, designs of constructional projects. • Align the managerial skills. • Prepare the report on the constructional project. • Feel comfortable in problem solving and decision making. 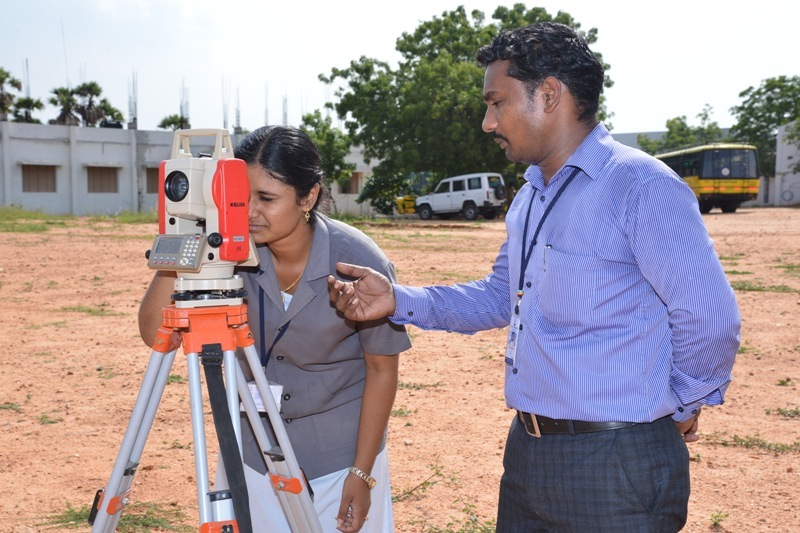 In Our Survey Lab, we have all the instruments, to do the following survey work for both Linear Measurements, Angular Measurements including the latest of instrument “Total Station” with all the accessories in good working condition. The land and space available for survey work, wider lengthier red to do all sorts of survey work at our campus itself. Well equipped and spacious lab. Well equipped and spacious lab. Even we have separate working Platform with shelter to prepare Concrete mixture in dry condition as well as in wet condition. We have required number of Equipments machines and accessories. 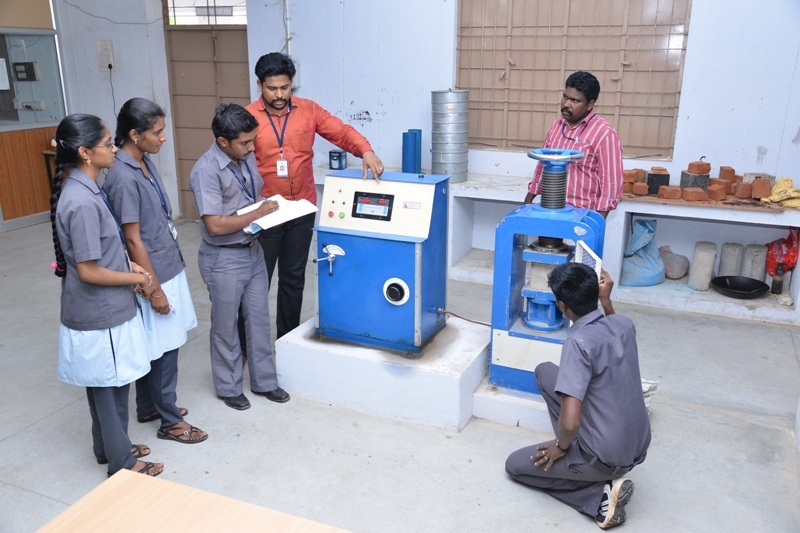 This laboratory contains all sorts of machinery, equipments, stop watches and oven (to dry moisture soil) weighing balance, as per the recommendations of Anna University. 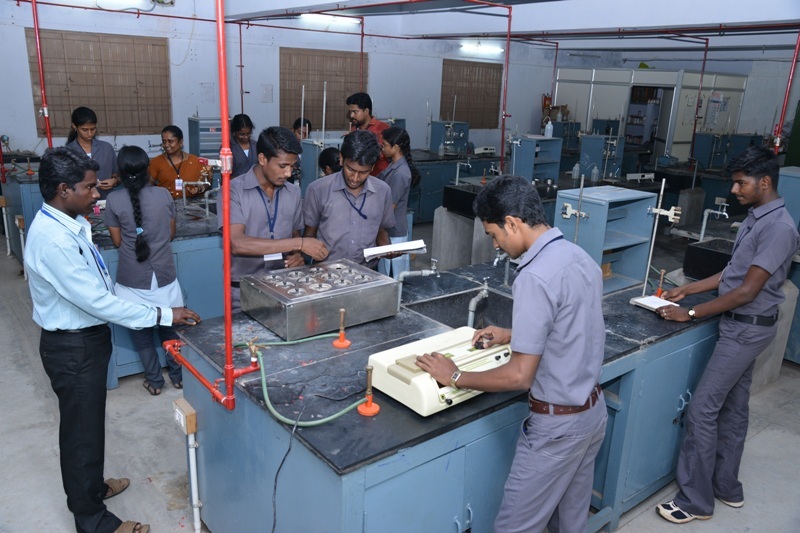 To learn about the fluids, nature and other properties which affect, the Hydraulic structures, we have well equipped Hydraulics Laboratory which is able to accommodate even 70 students at a time. The necessary accessories are also available sufficiently. Ample amount of specimen, to conduct experiment in all aspects like pension, compression, shear deflection Impact testes on steel timber and other construction materials.